Looking to add some history to your portfolio? Mike Clare, who made his fortune selling his bed and mattress retail company in 2008, has declared a Brexit of his own it seems. 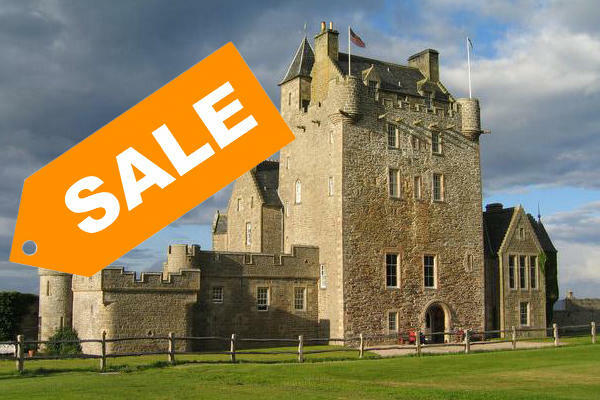 The millionaire is putting four historical properties located in Scotland and England that date from the 15th to 19th century on the market for a combined $20 million, according to House & Property. One of the properties is Ackergill Castle, a 15th-century castle in northern Scotland with 32 bedrooms, a bar and the largest tree house in Europe. The other three properties are known as the Solent Forts; the three island forts were originally built to defend England from a French invasion by Napoleon III. The forts were decommissioned after World War II and Clare, like he did with the castle, converted the properties into luxury boutique hotels.